Both as an organisational consultant and academic, Kate is interested in research and analysis of organisational policies and practices that make workplaces more effective without loss of humanity and relationship. She consults with organisations regarding workplace change, aiming to introduce it in an atmosphere of trust and disclosure and she writes on topics related to values at work, women and leadership, the impact of previous work cultures on the present, group dynamics, collaboration and competition, leadership and the ethos of public service. In addition, Kate is interested in the nexus between formal education and practical application of learning in workplaces. For smaller projects, Kate will work with you directly. For larger projects, she has a network of trusted consultants with whom she collaborates regularly. She can form a specialist team to suit your needs. Kate Dempsey & Associates has developed a style of consultancy whereby work is conducted in close conduct with the client. All key stakeholders are involved in the process and an outcome is produced which is practical and achievable for the group when the consultancy is completed. This approach means costs are kept low, the project generates a high degree of consensus in its development and on-site staff learn new skills throughout. The result is high quality outcomes. We offer consultation in leadership and management development for organisations, large and small in the government, private and not for profit sectors. We prefer to work with you to develop a project that can provide lasting and meaningful change in your organisation. We do not subscribe to a particular view of management or leadership, but rather work with you to develop your organisation in a way that ensures success for you. Kate Dempsey & Associates is committed to the highest ethical standards. Use due care and diligence in performing its consulting role. Disclose any potential conflict of interest to the client. Perform its services in a timely and efficient manner. Provide honest advice at all times. Undertake to maintain regular contact with the client in the course of a project. Undertake to inform the client of any matter which may arise in the course of a project which may change the expected focus or outcome. A terrible legacy: the lingering impact of predecessors on current leaders. This article uses a case example of a public sector CEO transition to comment on the impact of gender and leadership style on leadership transition in times of organisational reform and upheaval. "Gender is not an issue": the invisibility of women executives in local government. In Australia men dominate senior positions in local government, with only 5.1% of CEO positions across Australian local government filled by women and women occupying 10% of senior executive positions across the sector. Writing our Values: A Double Edged Sword? It is commonplace nowadays for businesses, government and not-for-profit organisations to have written statements of values. While this may seem like a good idea, it has a few pitfalls that boards should be aware of. The seminar delivered by Dr Kate Dempsey was well-organised, clearly and logically developed, and professionally presented from start to finish. Most importantly, the content and style of delivery was of a consistently high standard, with the result that it stimulated valuable discussion and insights among the students. All in all, it demonstrated Kate’s sound grasp of the pedagogical principles and practices appropriate for a higher education learning environment. I wanted to comment and give you some recognition on how well I think you have been supporting students on line. I think that you come across as positive, interested and supportive of students. I also note that you try to challenge and stimulate thinking although we students seem to be an unresponsive lot at times. I want to say thank you again for the learning experience I had through this subject. I truly enjoyed your teaching. The quality of your assignment feedback is the best I’ve had at Swinburne. I benefited from your high standard marking by improving on the issues identified in your feedback. After all learning is more important than a good mark without any substance. Swinburne needs more lecturers like you. 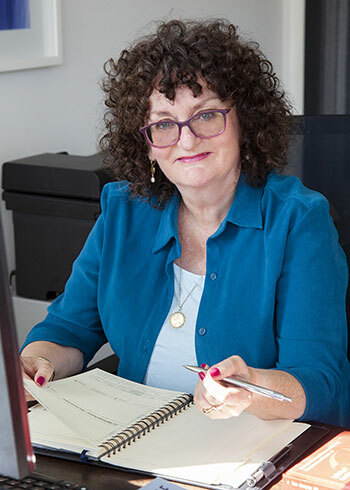 Having worked with Kate Dempsey on a number of projects since 1989, I am pleased to recommend her as a consultant who is highly ethical, provides critical input to projects she is involved in and who has been consistent in her ability to provide high quality work on time, every time. We have found Kate to be a very practical, outcomes driven person professionally. Kate guides us, but works along side us, by creating working groups for each project we embark on and checking each step or each draft with the whole membership at key points in its development. Kerry McKusky, Chairperson Victorian TAFE International Inc.
Kate knows and understands how associations should operate. She is extremely knowledgeable of the external requirements of a formal association and works efficiently to ensure it is governed correctly. She is able to identify needs and gaps in knowledge and works hard to transfer her knowledge back to association members. I know she mentors younger or less experienced staff in the work she does. I was privileged to have someone as knowledgeable and as experienced as Kate Dempsey for my mentor. She is an open and honest communicator. Kate was not afraid to make alternative suggestions or recommendations in a way that was not invasive. 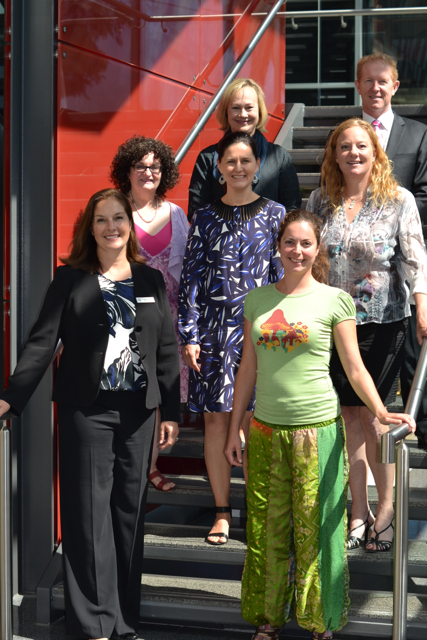 Kate Dempsey, who teaches into the MBA, provided amazing learning opportunities. Her teaching style and commitment to learning outcomes exceeded expectations. She demonstrated commitment, compassion and inspired us to go above and beyond, she is a remarkable educator! Thank you Kate, your subject was my 7th subject in the MBA and for what it is worth you have been one of the most engaging and enjoyable facilitators. It makes it a hell of a lot easier. You have set a very high bar that not many (if any) facilitators can match.